Banaji is the Richard Clarke Cabot Professor of Social Ethics in the Department of Psychology at Harvard University and a pioneer in the field of social psychology. She has, in a relatively short period of time, revolutionized the scientific study of attitudes and stereotypes. Born and raised in India, Banaji studied some psychology but was particularly drawn to experiments on individuals as social creatures. She discovered that there was a field called experimental social psychology and that its headquarters was located in Columbus, Ohio. Banaji enrolled in the graduate program in psychology at Ohio State in the 1980s, and psychology professor Anthony Greenwald became her faculty mentor. She and Greenwald have collaborated for more than 35 years in their search to understand how the mind operates in social contexts. In 2013, Banaji and Greenwald published the bestseller Blindspot: Hidden Biases of Good People, which provides a deeper understanding of our unconscious and unintentional biases. Evidence presented in the book suggests that our attitudes toward things like race, gender, sexuality, age and politics are formed by “mindbugs,” learned habits that impair the brain’s ability to perceive things as they truly are. 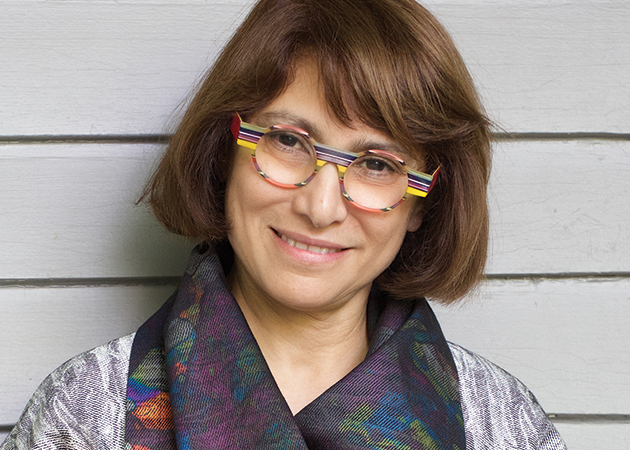 In 2017, Banaji received the American Psychology Association (APA) Award for Distinguished Scientific Contributions, the APA’s highest honor, and this year, Banaji was elected to the National Academy of Sciences. In 2016, the Department of Psychology honored her with its Distinguished Alumni Award. Gifford Weary, professor emeritus of psychology and former department chair, presented Banaji with the award. “Mahzarin has quite literally changed the field of psychology,” Weary said. Never one to rest on her laurels, Banaji is the founder of a new project, Outsmarting Human Minds, a set of videos and podcasts aimed at bringing psychological science to broader understanding. You can find these at outsmartinghumanminds.org. What about the field of social psychology interested you so much that you left India to come to Ohio State? I couldn’t believe that prejudice, obedience to authority, why we help and don’t — not just atoms and cells — could be studied in the laboratory. In the late 1970s that sounded radical. I had to find out more. I had to do it myself. Many people will admit to favoritism toward others. Is that such a bad thing? Favoritism is the oil that greases social interaction. It becomes a problem only when it begins to interfere with the quality of decisions we make — when it leads us to hire the less competent candidate or treat a patient with less care because they are not favored. What do you mean when you say that implicit bias shows up in who we help? Helping is a wonderful thing. But helping is one way in which inequality is sustained. To the extent that helping is extended to those we know and favor rather than those who are most deserving, we can, by doing something quite nice — helping — be discriminating. They say the first step to fixing a problem is to acknowledge it. Can we fix our biases? I like your use of the word “acknowledge.” Often people speak about becoming aware. But I think that it is acknowledging that is necessary. Life presents difficult moments — I learn that I’ve lost a parent, I discover that I have a chronic disease — and the first step, of course, is to acknowledge it. That it’s real, that it has consequences. And then, to begin to deal with the challenge.